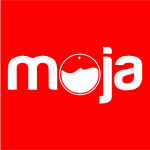 Moja is a mHealth solution using digital networks to increase reliable blood donation in Ghana to guarantee safe motherhood for healthy childhood. They provide free access to curated e-content from qualified medical practitioners through live chats, virtual clinics, daily health tips etc. The ‪app‬, MoJa, helps save lives through ‪mobile‬ ‪technology‬. MoJa is a mobile app that creates the avenue and ‪incentives‬ for ‪volunteering‬ as a ‪blood‬ ‪donor‬. With a cloud back-end, the National Blood Service is able to keep its stock replenished, search, match and conveniently contact ‪inspired‬ donors in case of ‪emergencies‬. Statistics indicate that in Ghana, the National Blood Service is required to collect 250,000 units of blood annually, to make blood and blood components available and affordable in the country. Only 25.4% of this is annually collected, leaving a huge deficit.Last year, 2014, this percentage saw an increase to 32%, which still leaves a huge deficit. Codef Africa is a registered Non-Governmental Organization in Ghana dedicated to developing communities by providing access to quality healthcare services and education on Maternal and Mental Healthcare. We act as the liaison between communities and healthcare professionals, bringing the much-needed knowledge and expertise as well as the services of these areas closer to the communities around the world. 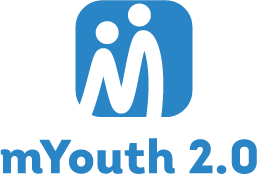 Stay tuned for updates on the progress of these two innovative change makers!